If you’re considering a new air conditioner installation to reduce your energy usage or eliminate constant repair costs, or if your system is inoperable, Oliver Heating and Cooling can help you determine the most efficient and effective cooling solution for your home. Our trusted and licensed technicians are experts in the industry and have the knowledge and experience to answer any cooling questions you may have. We are proud to serve Chester, Delaware, Montgomery, and Philadelphia Counties in Pennsylvania; New Castle County in Delaware; and Atlantic, Cape May, Cumberland, Gloucester, and Salem Counties in New Jersey. Our certified technicians will consider your air quality requirements as well as examine your home’s floor plan, analyze existing ductwork and insulation, and much more. 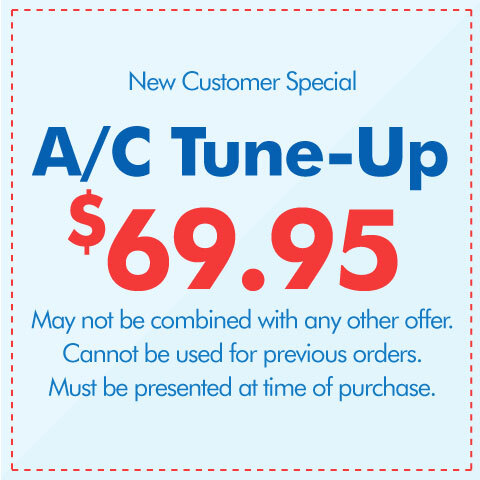 Based on this information, our Comfort Consultants will customize a recommendation for your new air conditioner installation. Since up to 30% of your home’s energy costs may go toward cooling your home, we will most likely recommend such things as high-efficiency equipment, programmable thermostats, or zoning control. Not only are many of these systems applicable for utility rebates, but they will also save you money on your energy bills. We sell a variety of high-efficiency air conditioners that will essentially pay for themselves in utility savings over the life of the equipment. After you decide on an air conditioner installation, our courteous technicians will perform it. They are extremely respectful of your home, belongings, pets and family, so they’ll lay down carpet protection and wear shoe covers to keep your home and yard clean. After the installation is complete, they’ll leave the area cleaner than when they arrived. A new air conditioner will provide the comfortable environment and energy savings you’ve been searching for during the hot summer months. Call 1-877-757-1141 today, or request an estimate from us online. We offer free estimates on new systems, and will schedule your appointment promptly!